NEW DELHI: Brace for higher fuel bills as the government frontloads fiscal reforms and trying to build consensus for raising diesel, cooking gas and kerosene prices—fuels it controls—to reduce subsidy bill and manage deficit. As first reported by TOI on January 5, the oil ministry has proposed several options for all the three fuels. These have been drawn up in response to a report by a panel under former bureaucrat Vijay Kelkar, tasked by the finance ministry to suggest ways for fiscal consolidation. The options essentially are about raising prices to bring them on a par with current market rate. For diesel, the options are to raise the price by Rs 1.50 per litre plus taxes every month between January and March. Thereafter, it could be raised by Re 1 plus taxes every month till its pump price equals market rate. The alternative, or a politically more workable proposal, suggests raising the price by 60 paise per litre every month till the gap between subsidized and market prices are wiped out. Diesel is the main fuel for transportation and farming sectors. Any increase in the fuel's price has a cascading effect on the cost of daily living. A sharp rise in its price can shock the economy and stoke public anger. That's why the government may opt for the soft option of a partial float by setting a fixed subsidy—say Rs 5 a litre. Under this system, the fuel's pump price would be raised if the market rate rises beyond the fixed subsidy. 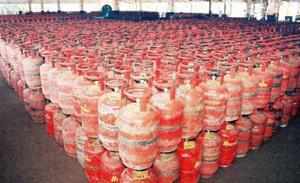 Similarly, the government is more likely to opt for the option of raising the price of cooking gas by Rs 65-Rs 100 per cylinder now, along with a higher annual cap of nine cylinders, and leave the remaining subsidy to be tackled post budget when its global prices start climbing down. Even in UPA-1, the government's effort to wipeout subsidy by raising price by Rs 5 per cylinder every month had to be abandoned under political pressure. No wonder, oil minister M Veerappa Moily last week said the Kelkar recommendations are "a proposal" and his ministry was "only processing that report and we are yet to take a decision".